Worldwide, an estimated 42% of the potential crop yield gets lost due to pests, diseases, and abiotic stress (e.g. drought). Thus, there is an increased need for novel agrochemicals which at best act in biotic and abiotic stress resistance. Because the extensive use of pesticides, fungicides, and herbicides harms the environment and, therefore, is rejected by society, the demand for natural or near-natural, sustainable compounds increases steadily. Priming compounds are a great opportunity towards an eco-friendly and sustainable plant protection strategy. Priming sensitizes rather than directly activates the plant defense system, and thus provides the plant with fitness preserving disease resistance and abiotic stress tolerance. PrimACs will develop a high-throughput platform (µRAMOS) for identifying novel natural, near-natural, and synthetic priming compounds. Optimizing integrated approaches for sustainable plant protection and reducing synthetic fertilizer, fungicide, and pesticide residues is a key request of the German National Research Strategy „Bioeconomy 2030“. Identifying powerful agents that strengthen (prime) the plant immune system and thus increase yield in times of stress targets the key issues of sustainable agriculture. This will support society and (bio)economy including NRW’s agroindustry with its long-standing tradition of agrochemical research. 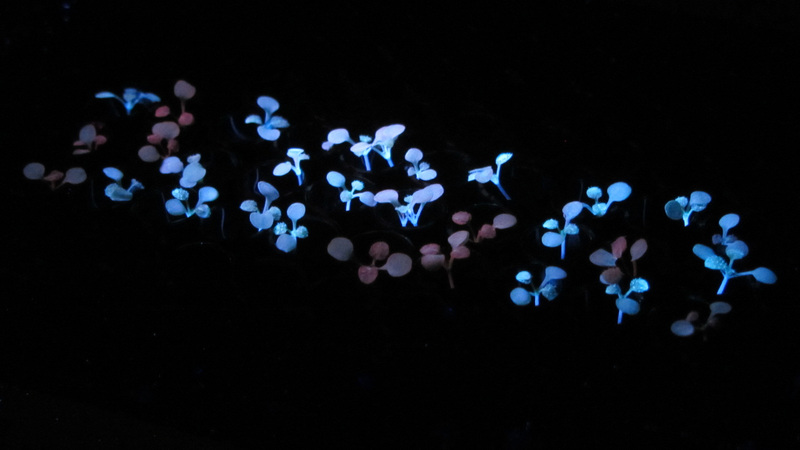 PrimACs will develop and use a novel high-throughput screening system with Arabidopsis seedlings in microtiter plates. Upon addition of a candidate compound and subsequent addition of a stress signal (e.g. cell wall components of pathogens) the priming capacity of the compound can be assessed by the oxygen transfer rate in individual plate wells (µRAMOS) containing Arabidopsis seedlings. Test compounds are either synthesized within the consortium or taken from a library (ChemBridge) that contains over 505,000 handcrafted small chemical compounds. We expect the identification of novel natural, near-natural, and synthetic compounds to combat biotic and abiotic stress in plants (e.g. fungal pathogens and drought). The total budget of PrimACs is € 592.740. PrimACs is part of the NRW-Strategieprojekt BioSC and thus funded by the Ministry of Innovation, Science and Research of the German State of North Rhine-Westphalia. Worgull, D, Öhler, L, Strache, JP, Friedrichs, T, and Ullrich, P (2017) Enantioselective synthesisof 2,3-dihydrofurans via ammonium ylides. Eur J Org Chem, 6077-6080.